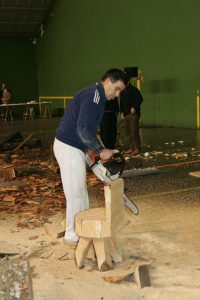 What is “Eibarko Euskal Jokoak”? 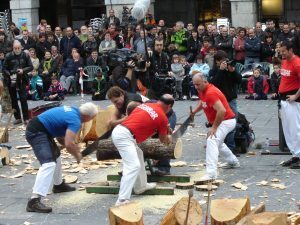 “Eibarko Euskal Jokoak” is a Basque Sports Association, located in Eibar (Gipuzkoa) founded in 1997 to promote and practise Rural Basque Sports. Stone-lifting: stones of different shapes (cubical, cylindrical, rectangular and spherical), and weights up to 300 kg. 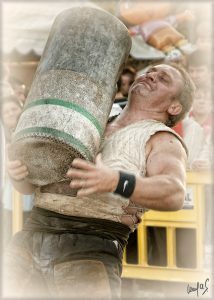 Carriage of txingas (weights of 50 kg each).